Hand-held OBD2 tool---OM123 is designed for your precious car engine. It makes a easy way to saves time and money on repairs. Empowers drivers to monitor their vehicles health. Note:this products only support gasoline vehicle. This car code reader is designed for your precious car engine. It makes a easy way to saves time and money on repairs. Empowers drivers to monitor their vehicles health. Fast scan and clear trouble codes (generic and manufacturer specific), Displays I/M readiness Status. 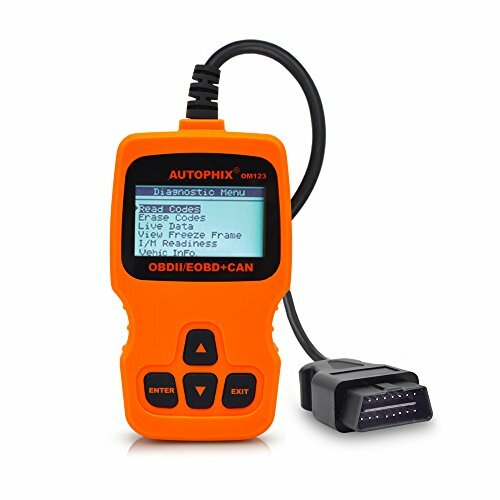 With built-in OBD-II fault code lookup library--which is easy for you to understand the fault code. If you have any questions about this product by PerryLee, contact us by completing and submitting the form below. If you are looking for a specif part number, please include it with your message.